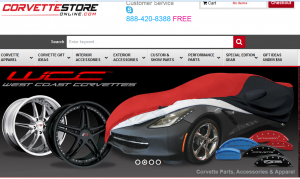 Check out our most recent X-Cart website & shopping cart overhaul for our client John Huffman at Corvettestoreonline.com. We were contacted to upgrade the site and implement a more responsive skin. 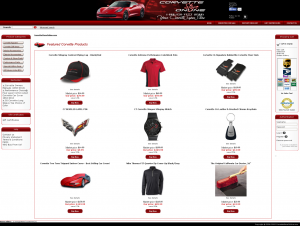 The finished product is super and provides more functionality and responsiveness. We also made this site mobile while keeping the key features, as well as the look and feel, consistent with the new site. We’ve already had some customer interest in this skin and functionality in the form of requests to replicate this skin for other sites. We believe that imitation is the best form of flattery, so we take this as another testimony to the work completed on the site! Contact us for help with your site. Whether it’s an upgrade, a change to the look and feel, or getting your site mobile for easier searching, we’ve got you covered! Contact BCS Engineering for a free quote to help you get the site that you’ve been wanting! This entry was posted in Blog, Featured Client on February 12, 2015 by Carrie Saunders.